The geology of Stoney Middleton Dale and its surroundings is fascinating, and it is the geological structure that has given the area its caves. At its most basic the White Peak is a roughly shaped dome of Carboniferous Limestone surrounded by younger carboniferous rocks, shale and gritstone belonging to what is often collectively called the Millstone Grit. The major caves in Derbyshire lie on the edges of the limestone, where streams accumulating on the gritstone moors sink into the slightly soluble limestone to emerge in valleys such as Stoney Middleton Dale. Over a very long period, fractures in the limestone are slowly enlarged by solution until a network of cavities is formed. Sometimes these cavities are large enough to follow, and merit the name cave. During deposition of the limestone there were many breaks in sedimentation. These were often marked by volcanic eruptions, and a (usually) thin film of fine clay was spread over the sea floor before limestone deposition restarted. 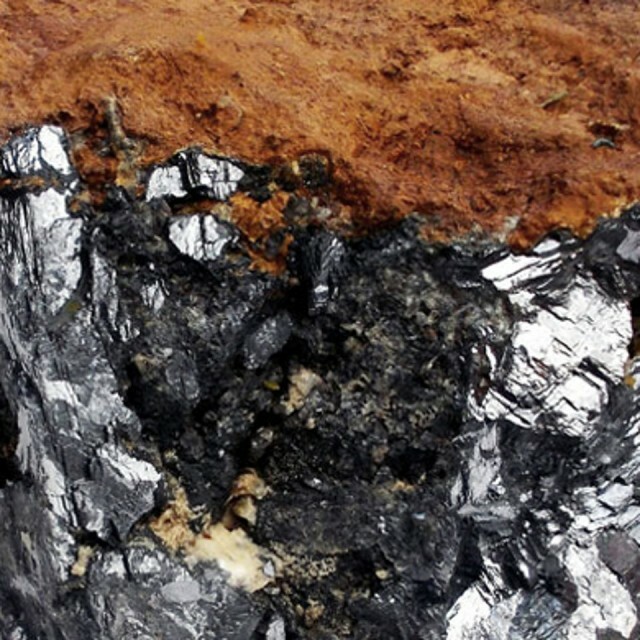 These films of clay, or wayboards are important in cave formation, because water percolating down through the limestone may be stopped at a wayboard, along which it begins to flow horizontally. 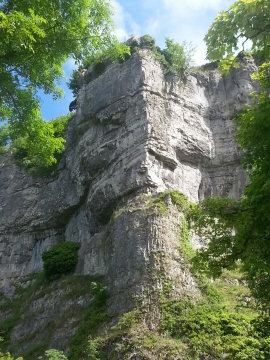 Its passage may be assisted by the presence of vertical joints in the limestone, which it may utilise, or it may be diverted by mineral veins which form a barrier. There are a number of important prominent bedding planes in the dale. Each one has given rise to a network of tubes, the higher ones often filled with silt when they were left high and dry. When glaciers retreated from the area (on several occasions) torrents of meltwater scoured the valleys and deepened them. New underground drainage networks would then begin to form at a lower level leaving the abandoned routes high in the cliffs. The mineral veins that contained the lead sought by the miners are vertical fractures in the limestone, opened by solution many millions of years ago when hot mineral-rich fluids rose from beneath the dome of carboniferous (and younger) rocks. As the fluid rose it cooled, but was still able to dissolve limestone. At the same time, minerals such as lead (galena) fluorspar, barytes, zinc and copper were deposited on the walls of the fissures. The small veins in the dale are known as scrins, and run at about 240º from north east to south west, with a smaller set running roughly at right angles towards around 320º. The lead miners often followed these scrins for long distances in the hope that the tiny central streak of lead would widen into something worthwhile. The veins that run roughly from east to west are much larger. The Hucklow Edge Vein has been worked for several centuries, as has White Rake, which runs through Glebe Mine, at Eyam.